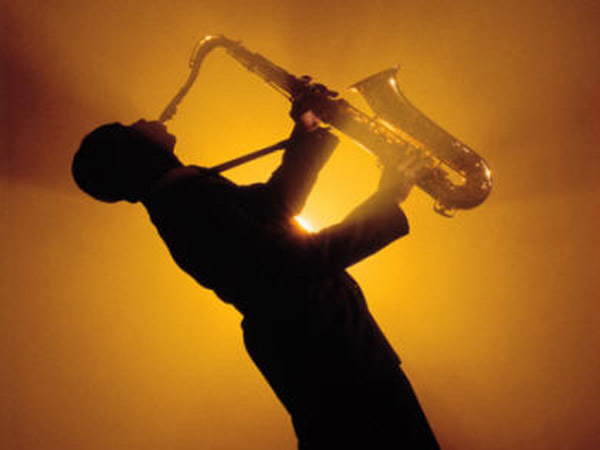 Is Popular Smooth Jazz Radio Dying Out? Smooth jazz listeners worry about their favorite genre dying out and variations of it taking over. But louder critics blame the changes in how popular music continues to reinvent itself to gain in popularity and bring in new listeners. Is either critic correct? It depends on who you ask. It’s not just one category though. Traditional country, conscious hip hop, rock n’ roll and today’s R&B also see some backlash from old-fashioned audiences who don’t agree with upgrading something that they view as ideal already. There are numerous artists in many genres who tend to be more versatile in their delivery and make songs to please multiple masses as opposed to just one group so why should smooth jazz be any different? The songs that receive radio play may not be the songs that all listeners want to hear nor are they always the best from the artists’ libraries, but just like online music categories, many top songs (both indie and record label hits) are up for interpretation. With online and indie radio stations, such as iHeart Radio, AOL Radio and Live365, it’s more convenient for listeners to play the type of song selections that they want to by similar artists and song genres. iHeart is more concerned with picking related artists, but AOL lets users narrow their selections down to even the most minute detail (big band and swing, bop, fusion, Martini lounge, modern and New Orleans sound). But that doesn’t mean when fans log on to their favorite online stations, there won’t be some questionable music selections worth skipping even if they pick the option they like the most. Traditional easy listening relies heavily on instrumentals, usually with saxophones, piano and guitars being the primary instruments of choice. Although singing lyrics aren’t required, some artists have managed to successfully blend the two. (And AOL has a station for vocalists as well.) Adult contemporary artists who remained true to appreciating the instrument as much as the singer blended R&B crooning with the sounds of live bands. Today’s popular artists who made the genre more contemporary are Anita Baker and Kem. Well-known songs of theirs include Kem’s “Share My Life” and “I Can’t Stop Loving You,” and Anita Baker’s “Sweet Love” and “Same Ole Love.” But who can resist humming Billboard’s best jazz hits from veterans like Kenny G on “Forever In Love,” “Songbird” and “Silhouette”? Other variations of the genre are categorized as “urban,” “chill” and “easy listening.” And oddly enough, The Weather Channel has taken quite a liking to using instrumentals during the Eights on the Hour. Even non-fans want to know the weather so they have to listen whether they want to or not. Arguments continue about who invented the music. New Orleans, La., prides itself on creating the genre from a 20th century mix of blues, gospel and ragtime. And while that may be true, the audience has physically changed in the last century from African American to white and back again, depending on the artists’ fan-base. And with the audience revolution, the culture within the groups may influence the preference of heavy electronic sounds, live small bands, rhythm and blues or a big band. And while the categories may be drastically different, online stations’ priorities were to make sure the instruments didn’t just become “background” tunes. For the most part, both online and regular stations have been able to consistently play that style. Musicians choosing to make instrumental versions of popular songs didn’t help traditionalists either. The attitude of the recycled sounds make some from a younger demographic want to tune in, but an older crowd may wonder what’s the point. If they wanted to hear that song, they’d tune in to the station that played the original version. And then there’s the middle ground area with those who may just want to hear the song without the artist bellowing over it. However, when top companies like Chicago’s WNUA were put out of business for relying on the genre, there were questions about whether people were still as interested in the sounds of live music or had electronic recordings taken over. WNUA’s 99.5 FM was replaced with a regional Mexican Spanish program — not even close to what Clear Channel was previously airing. Similar abrupt dismissals were seen in Miami, Orlando and Tampa, Fla.; Atlanta, Ga.; Cincinnati and Columbus, Ohio; Dallas and Houston, Texas; Minneapolis, Minn.; Harrisburg and Philadelphia, Penn. ; Baltimore, Ma. ; Washington, D.C.; Indianapolis, Ind. ; Sacramento and Modesto, Calif.; Dayton, Ohio; Milwaukee, Wisc. ; and Lansing, Mich. But with the success of companies like Chicago’s Hyde Park Jazz Fest and New Orleans Jazz NHP (National Historic Park), companies were reminded that there is a loyal audience for the tunes even if the transmitting system is more likely to come from an iPod or notebook computer instead of the car. And for those who still refuse to log on and join the computer-dependent crowd, these live events give enthusiasts the opportunity to mingle with other lovers of the culture. Religious Talk Radio: Is it Growing in the U.S? Topaz Adair on Religious Talk Radio: Is it Growing in the U.S? Yoland Beet on Religious Talk Radio: Is it Growing in the U.S? Zell Pithc on Religious Talk Radio: Is it Growing in the U.S?